Aircraft offered are subject to prior sale, inspection, verification of aircraft specifications and withdrawal from the market. Prices subject to change without notice. Taxes extra where applicable. For sale in Belgium (EBAW). Very well maintained Mooney TLS Bravo with low hours. One of the fastest 4-seaters around. With Turbo, oxygen and full de-icing. The companion for business­men who want to take back control of their travelling time. 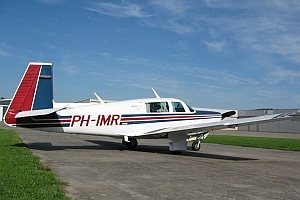 Perfectly maintained Skylane that was owned and used by the Dutch police until May of 2014 can now be your private aircraft. Fresh annual and ready to fly! This aircraft is still brand new!! Always hangared and perfectly maintained by Styl Aviation. Total Hobbs time since new only 170 hours. High performance two seater. Experimental class. Three bladed constant speed propeller. 180hp Lycoming engine. Watch YouTube Lancair 360 in flight or low pass. The perfect travel companion! Fast, agile, reliable and with low hours. Full IFR instrument package (even de-icing) and maintained by Martinair Lelystad. 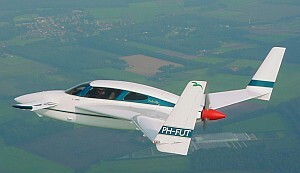 Amazing futuristic aircraft, leather interior, 200HP Lyc.IO-360-C1E6, HP-MT Prop. Dual IFR, Fuel comp., Autopilot, GPS, Fresh anual + 100hrs inspec. Super (twin) performance. 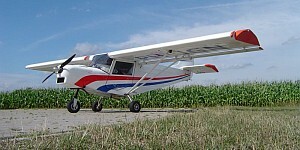 Cessna's beauty. Based at Eindhoven, Netherlands (EHEH). New engine from april 2009 with ZERO HOURS! 3-bladed propeller new from 2007. 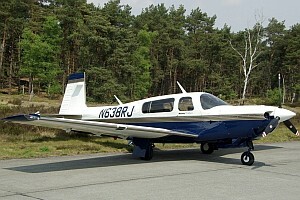 1980 Socata TB9 CS Must SELL! Low asking price for this well maintained TB9 with brand new engine and constant speed propeller. Based at Lelystad, Netherlands (EHLE). Fitted with a powerfull 195 HP Continental 6-cylinder engine (IO-360-K), 'constant speed' propeller and therefore much faster than the well-known and popular 'normal' 172. This aircraft is a real beauty. Always hangared and perfectly maintained by private owner. Total time airframe, engine and propeller is only 200 hours from which the last 50 hours are made in the last year. Ultra short takeoff and landing: 100 to 130 feet! Minimum speed 23 kts, although maximum speed is 90 kts. 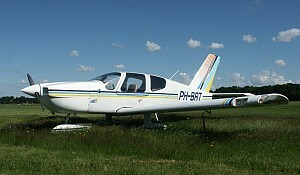 Powerfull, economical and very reliable Rotax engine. 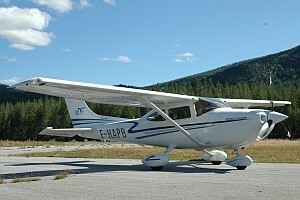 If you have a general aviation airplane for sale, you can let us place an add on this website. Our rates certainly won't be an obstacle. You only pay once to place your add and from then on you only pay for changes to text and/or photos. Your add remains on this website until you instruct us to remove it. For an extra detailed webpage entirely for your own aircraft, you pay somewhere from €95,- to €495,- depending on the amount of work for us. This extra webpage can hold various photographs and full technical details and there is plenty of room for your own text and contact information. We can also act as your aircraftbroker and do all the communication with the prospects. Inquire for the possibilities and costs involved. Changes to your paid add can be made as many times as you want. You pay a minimum of €45,- for changes to the paid detailed webpage. The price depends on the amount of changes and work to be done for us. 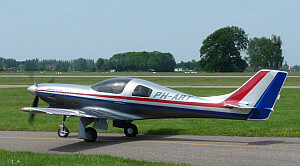 Airvan BV also advertises on AvBuyer.com and in the printed magazines GA Buyer Europe and Aeromarkt. We can put your aircraft on (one of) these too. You only pay the extra external costs involved.